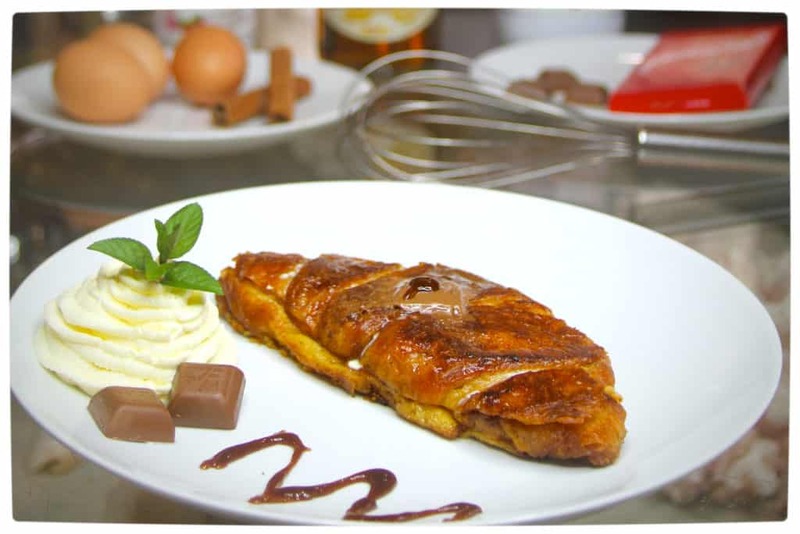 Following from the high of the delicious Orange Marmalade Croissant Pudding comes another dessert croissant inspired by two of my favourite end-of-meal confections, the decadence of French Crème Brûlée and the delightful Swiss textures of Lindt chocolate. 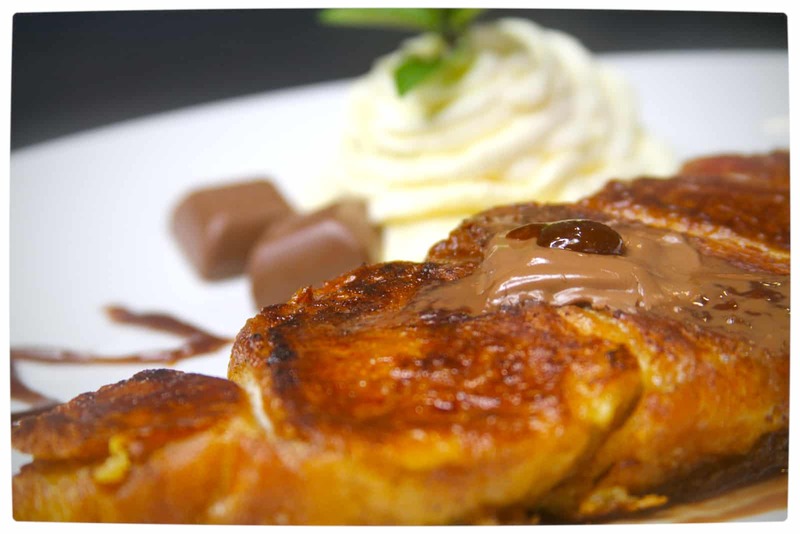 The Butterscotch Lindt Croissant was influenced by my inner Frenchmen who adores cinnamon and sugar encrusted Pain Perdu (also known as French toast). As a result this dish is very easy to prepare and can be whipped up on a whim. Each divine morsel of the Butterscotch Lindt Croissant is filled with the subtle and arousing hints of Butterscotch liqueur. This helps to bring fourth the warmth of cinnamon, soft velour touches of vanilla and the sweet, smooth, saliva inducing cocoa notes of swiss chocolate. The result is a decadent dessert that tastes simply of “more” whilst subtly awakening the senses. 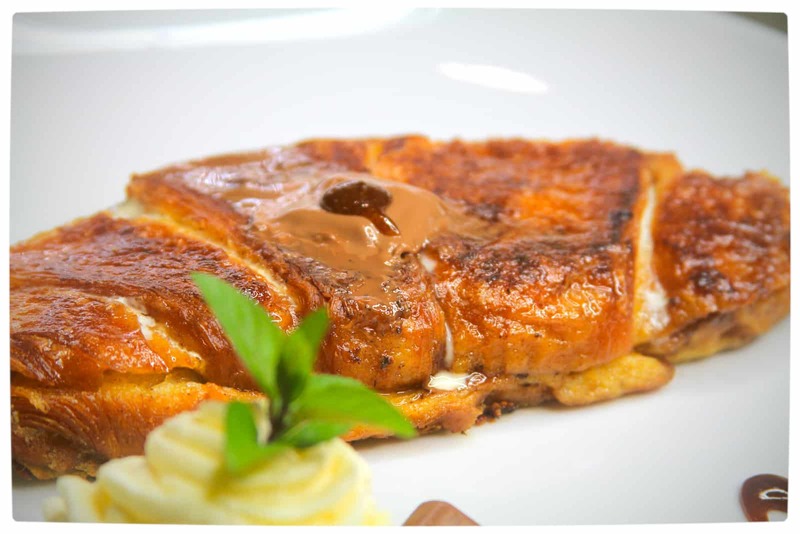 The Butterscotch Lindt Croissant is made in a similar way to French toast. However, the playfully airy texture of the croissant pastry fuses perfectly with the butterscotch batter to form a drool worthy Crème Brûlée like inner filling. Flavourgasms will abound, resulting in multiple servings. Although the Butterscotch Lindt Croissant seems like an after meal accoutrement, it can be enjoyed at any time of the day and makes for a filling, if somewhat sweet and decadent, early morning breakfast meal. The dessert is best served with an extra helping of Lindt, some maple syrup and a dollop of freshly beaten cream. 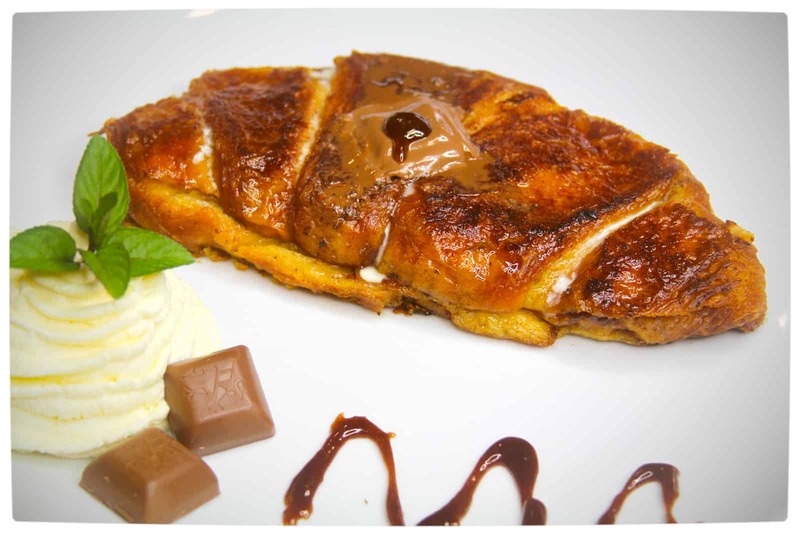 The Butterscotch Lindt Croissant is an easy to prepare dish that will bring a swift smile to the faces of those you love. The dish should take around 15 minutes or less to make (hit the green button below for the list of ingredients and the recipe). I hope you enjoyed this tasty post and that you will visit again next week for another culinary adventure from our Croissant Chronicles. Large pan with glass lid. 4 x Plain butter croissants. Bottle of fresh full cream milk. Pack of ground Cinnamon spice. Pack of ground white sugar. Pack of your favourite Lindt chocolate. 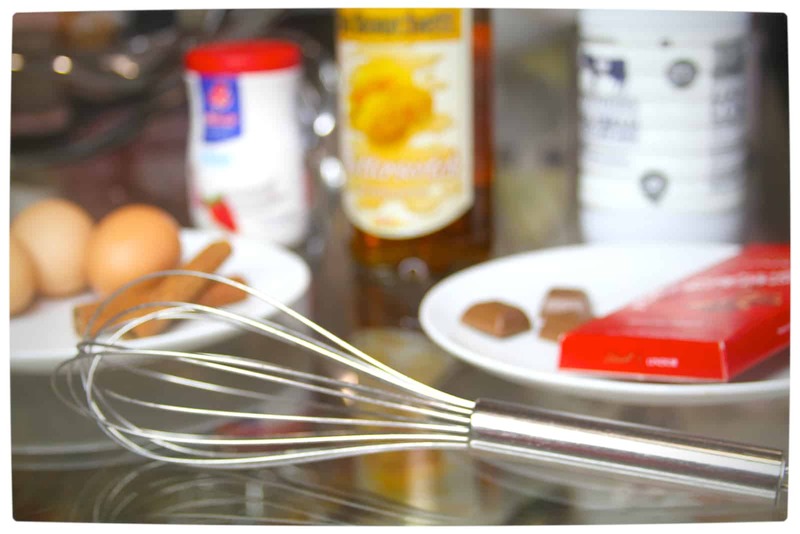 In a bowl whisk the following: four eggs, one cup of full cream milk, half a cup of cream, one heaped table spoon of cinnamon and sugar mix, two teaspoons of vanilla essence, two shots of Butterscotch Schnapps. Gently slice open all of the croissant to resemble books, leaving one edge intact. Place the desired amount of Lindt chocolate into each croissant. Place the prepared croissant into the mixture – allow croissant to soak for 2 – 5 minutes. Place the large pan onto the stove and set to a high heat. Generously butter the large pan. Set heat to a medium setting. 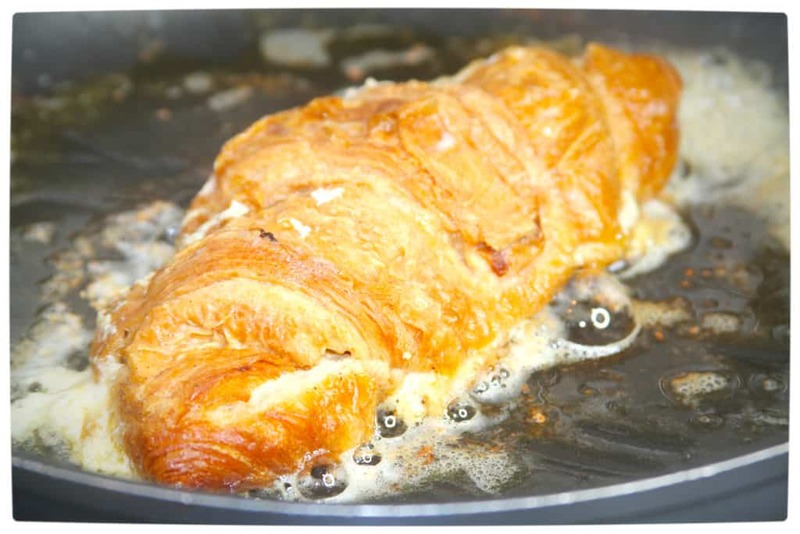 Gently pick up the soaked croissant and place it into the pan. Place the lid on the pan. Leave for 2 – 5 minutes. Once the bottom of the croissant has a golden brown texture, flip it over. Place the lid on the pan. Leave for 2 – 5 minutes. Keep checking the croissant until it is golden brown. Serve with a dollop of cream or ice-cream, a block of Lindt on the top, a dash of cinnamon and sugar, and some maple syrup.